Among luxury buyers, two of the largest rivals in the segment are Mercedes-Benz and Lexus. With each offering a comprehensive lineup of sedans, coupes, SUVs, and hybrid variants — deciding between these two familiar foes can seem difficult at first. Fortunately, Mercedes-Benz of Easton is here to help you make an informed decision thanks to our in-depth Mercedes-Benz vs Lexus comparison guide. We’ve taken the time to examine both brands and compare some of their most popular models side-by-side. Let’s see which brand can emerge as the better option. Full-size luxury SUVs offer powerful performance, spacious interiors, and go-anywhere versatility that lets the whole family ride in style. 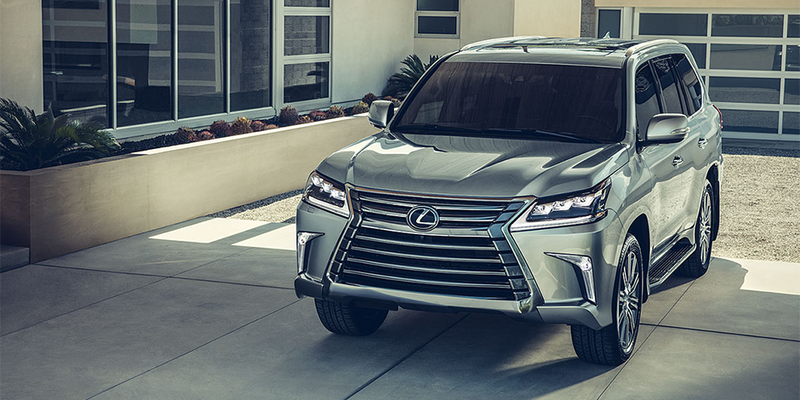 While the Lexus LX has a slightly lower MSRP, that’s where the advantages end. 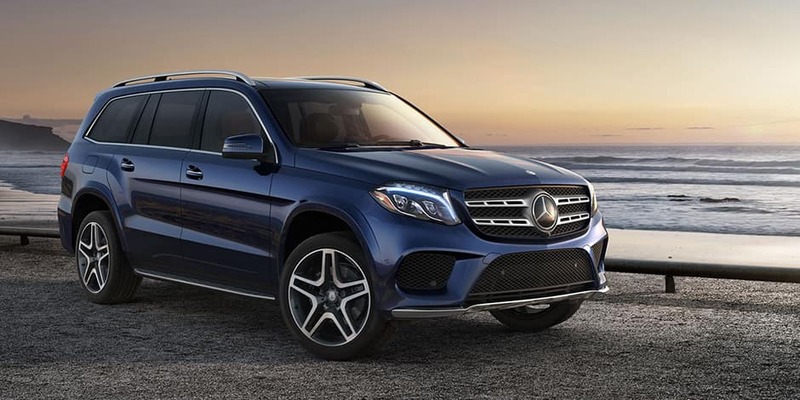 Let’s see why the Mercedes-Benz GLS is the top choice for a full-size luxury SUV. Taking a look at performance numbers, the Lexus LX simply cannot measure up to the Mercedes-Benz GLS. The GLS comes standard with a 4.7L V8 which produces 449 horsepower and 516 lb ft of torque, giving you plenty of muscle to go the distance. In fact, it tops the LX by 66 horsepower and 133 lb ft of torque. As a result, the GLS delivers a greater maximum towing capacity to help you bring along even your biggest toys. While having superior performance is a great advantage, the GLS features precision engineering that’s not only more powerful — it’s also more efficient. Using a sophisticated 9-speed automatic transmission, the Mercedes-Benz GLS is able to deliver greater city, highway, and combined fuel economy than the less-capable Lexus LX. Choosing the GLS means that you’ll receive the best of both worlds in terms of responsive power and fuel-saving efficiency. Shifting our focus towards refinement and standard features, the Mercedes-Benz GLS continues to outperform the Lexus LX. Choosing the GLS means that you will receive larger 21-inch wheels and a 14-speaker sound system for an exceptional audio experience. You’ll also enjoy a more composed, smooth ride thanks to the independent rear suspension found on the GLS. Compared to the live rear suspension of the LX, an independent rear suspension provides better ride quality on smooth stretches of highway, greater cornering performance, and confident stability across rough terrain. 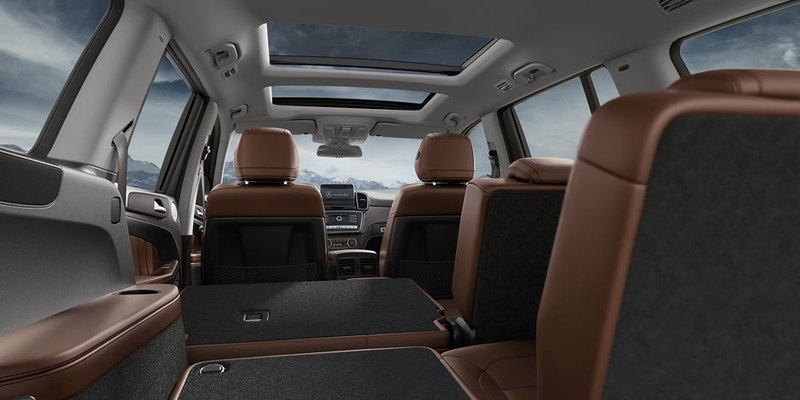 Each of these SUVs has the ability to accommodate three rows of passengers. The difference is that the Mercedes-Benz GLS does so more comfortably thanks to greater headroom in the front row, second row, and third rows of seating. Especially important in the third row, passengers at the very rear will appreciate over 3 additional inches of headroom found inside the GLS. When it comes to full-size SUVs, Mercedes-Benz stands above Lexus. When it comes to performance, it may at first appear that these two sedans are equals thanks to identically-sized 2.0L I4 standard engines. 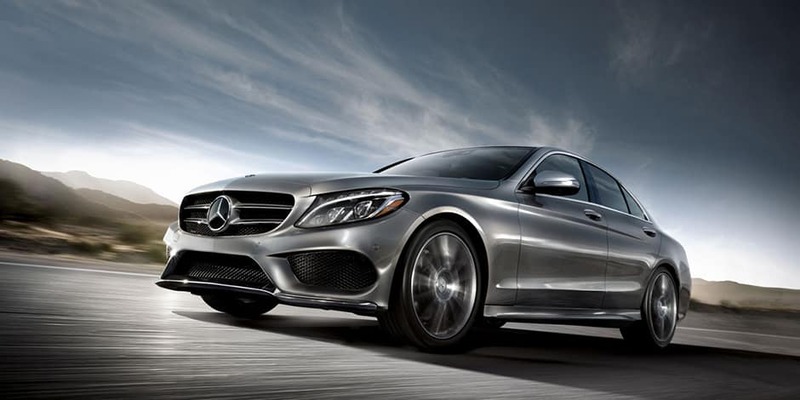 Each produces 241 horsepower, while the Mercedes-Benz C-Class delivers greater torque for better throttle response. In addition to more torque, the C 300 is able to outperform the Lexus IS across all three measurements of fuel economy. A more advanced 9-speed automatic transmission ensures efficient yet responsive power delivery. The advantages don’t stop there. When you opt for the Mercedes-Benz C 300, you’ll receive impressive standard equipment that the Lexus IS simply cannot match. Perfect for staying safe during those unexpected summer rain storms, the C 300 comes standard with rain-sensing windshield wipers for uncompromised visibility. This feature is an added cost option at Lexus. When it comes time to pack up your gear for your next weekend getaway, drivers will find the C-Class to be the better option. 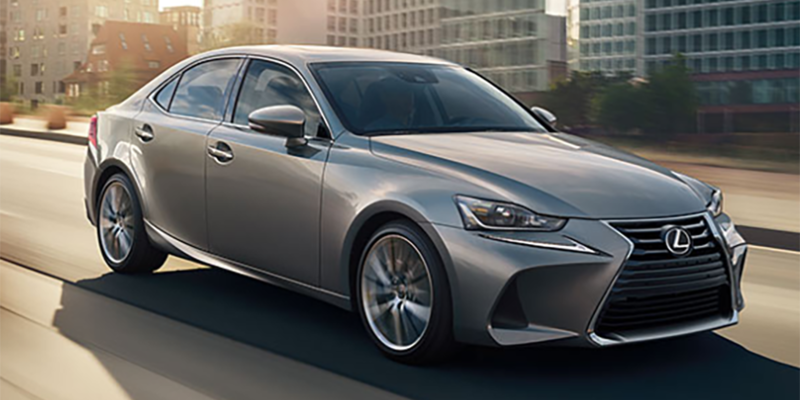 It delivers greater interior cargo volume than the IS and also comes standard with a 40/20/20 split folding rear seat compared to the 60/40 found inside the Lexus. Finding your ideal driving position proves to be a far simpler task behind the wheel of the Mercedes-Benz C-Class. With a simple press of a button, you’ll have the ability to fine-tune the angle, reach, and height of the steering wheel. IS drivers will have to do this manually. The front seats of the C-Class offer more adjustability and a memory position for the driver. Front seat passengers can stay just as comfortable as the driver as well. They will enjoy 4-way lumbar adjustability along with power seat cushion extensions, both of which are not offered on the IS 300. All occupants inside the Mercedes-Benz will appreciate the superior headroom found inside the C 300. No matter which way you look at it, the Mercedes-Benz C-Class tops the Lexus IS. When you drive a Mercedes-Benz, you’re able to drive with confidence from knowing that your vehicle was designed and built to a higher standard. Mercedes-Benz engineers work tirelessly to produce some of the highest quality cars on the road today. Their reputation for unmatched reliability, impeccable styling, and uncompromised luxury continues to this day. The results are in for the 2018 Kelley Blue Book Brand Image Awards. Mercedes-Benz has been named Most Refined Luxury Brand for 2018, highlighting the exceptional elegance, sophistication, and cutting-edge technology found on every Mercedes-Benz vehicle. As one of the most important aspects of any vehicle purchase, drivers are increasingly drawn to brands which hold a stellar reputation for safety. Knowing that you’re protected by advanced safety technologies certainly helps inspire confidence behind the wheel. For 2018, the Mercedes-Benz E-Class and GLC have each been awarded with a Top Safety Pick+ Award from the Insurance Institute for Highway Safety (IIHS). Excelling in the most rigorous test for vehicle safety in the United States, Mercedes-Benz earned more TSP+ awards than Lexus. 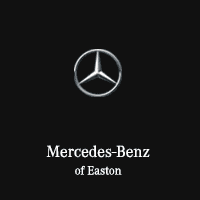 Mercedes-Benz of Easton welcomes you to come experience all that the Mercedes-Benz lineup has to offer. Whether you’re interested in a sedan, coupe, or SUV — our product specialists are standing by to help you find the vehicle that’s perfect for your lifestyle.